Ukraine lost almost all exports to Kazakhstan and Kyrgyzstan over Russia's trade policy. Ukraine has filed another complaint against Russia with the World Trade Organization because of restrictions on the transit of Ukrainian goods, Ukraine's Ministry of Economic Development and Trade said Monday, 13 February. "On 9 February, Ukraine has filed a complaint with the WTO asking to establish an expert group within the framework of the case on numerous transit restrictions from Ukraine via Russian territory to third countries, namely Kazakhstan and Kyrgyzstan," the ministry said. After the deep and comprehensive free trade area became effective between Ukraine and the European Union on 1 January, 2016, Russia has imposed restrictions on the transit of goods by road and railway tracks from Ukraine to Kazakhstan, and from July 1, 2016 – to Kyrgyzstan. "According to expert estimates, about 79% of exports from Ukraine to Kazakhstan and 95% in Kyrgyzstan suffered from restrictions and partial ban on the part of the Russian Federation," the release says. 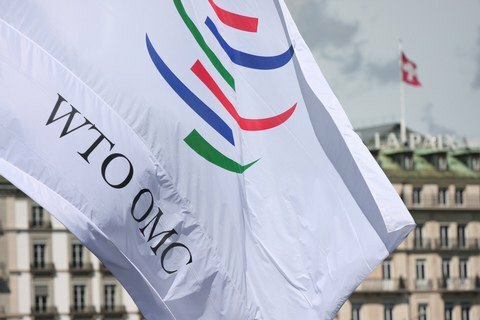 Economy Ministry says Ukraine has tried to resolve the transit dispute within the WTO, but to no avail as "Russia was not ready to settle the dispute and has not taken measures to abolish illegal, discriminatory and economically unreasonable transit restrictions." Ukraine, in accordance with the established procedure, therefore asked the WTO to establish a group of experts, the report reads . Last December, the WTO started the consideration of a dispute related to the restrictions of exports of Ukrainian rail cars and equipment to Russia. The ministry said it was preparing another complaint with the WTO against the numerous bans and restrictions on the imports of Ukrainian goods, imposed by the Russian Federation. Ukraine's losses caused by the restricted transit of goods across the Russian Federation are estimated at 400mn dollars.